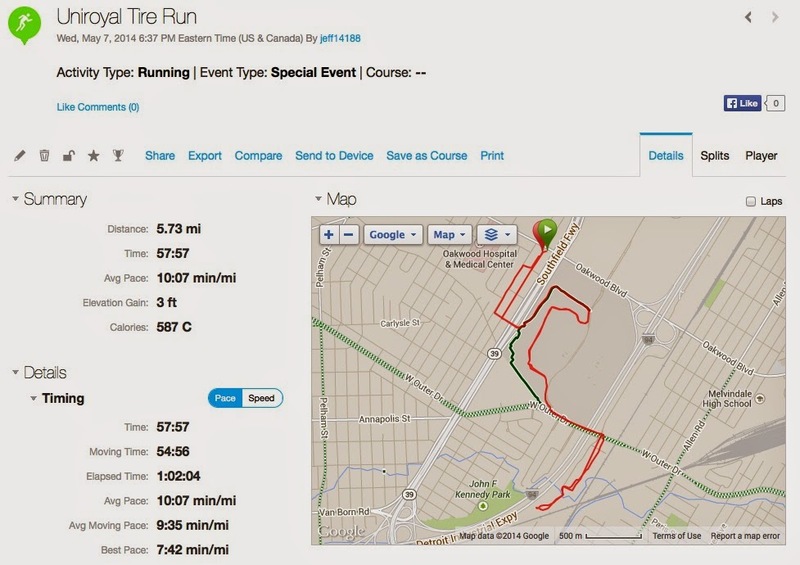 Wednesday I went out to Dearborn to run with the Downriver Runners Club. 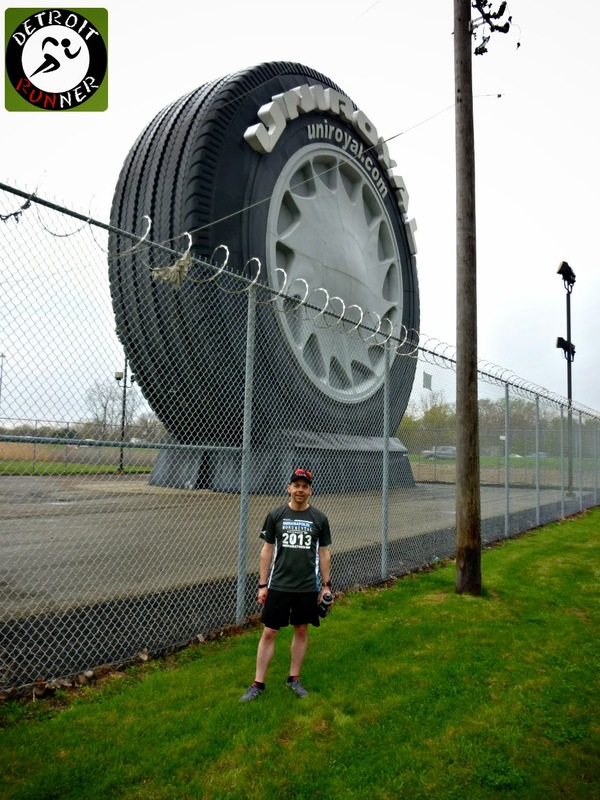 They have a special run once a month the first Wednesday of each month and this month was the Uniroyal tire run. Of course, Downriver is not around the corner from me but I could not pass this up. If you are from Michigan, or have been to Michigan, I'm sure you have passed the tire on I-94. I have to say that there's a big difference in driving by it and running up to it. It's eight stories high! We started out at the Oakwood Bar and Grill and it was an out and back course to the Tire and back. We even got in a few hills too. I kept the watch running when we stopped at the tire. As we got into their parking lot, we could see it and I got a picture as we were running up to it. It was a little muddy from the rain but not too bad. And with that we took the route back to Oakwood Bar. 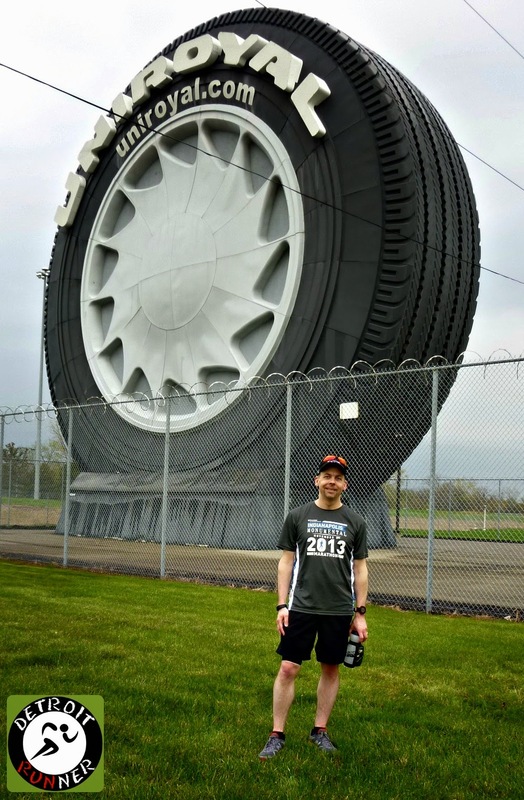 It was well worth the hour plus drive to run this route and experience the tire so close. For those interested, here's the history of the tire from Uniroyal. It was a ferris wheel at the New York World's Fair in 1965. I wasn't even born yet! 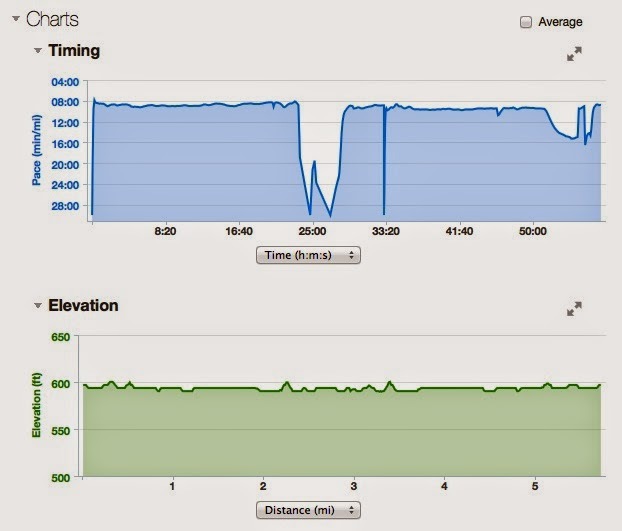 One of my most interesting training runs and I got to meet a lot of nice people in the downriver area. 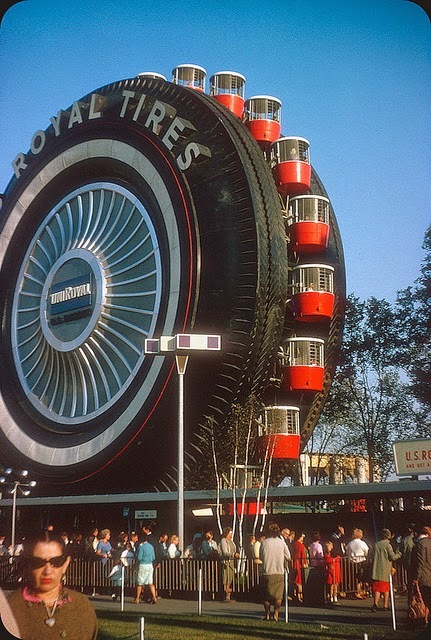 Wow, as a native Michigander, I knew the tire was a repurposed Ferris wheel, but I had no idea it had been a tire Ferris wheel! Very cool! I didn't know that it used to be a Ferris wheel! And I thought it came off a big car!!! !